Boise Investment Properties is a team lead by, Tony A Drost, Associate Broker with Swope Investment Properties that specializes in the purchase and sale of income properties; such as duplexes, triplexes, four plexes, and apartments. Swope Investment Properties is the #1 Residential Income Property brokerage in Boise. Buying and Selling of rental property requires much more technical and financial experience than home sales. Our agents are active investors just like you. Let us show you the tools needed to buy the best investment property or how to maximize the sales price of your rental. Let Boise Investment Properties determine the value of your home or income property by filling out this short questionnaire. 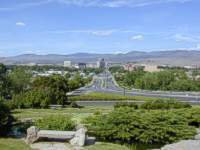 Boise Investment Properties specializes in the sales of rental and income proerties. If you are in the market of buying or selling a duplex, triplex, four plex, or an apartment in the Boise and surrounding areas, you can count on the Boise Investment Properties team. Investments made through a self-directed IRA can provide greater flexibility and control over the investments held in an individual's retirement account. Ask any of our agent's if a self-directed IRA is right for you. 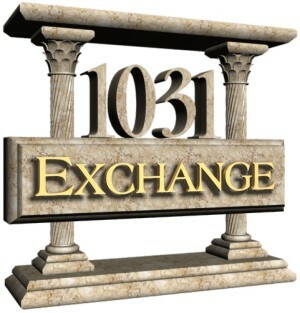 Interested in buying an investment Property in Boise at a discounted price? Contact one of our sales agents to get an updated list of properties due to sale because of Foreclosure. Also, there are a number of Income Properties that are available for a Short Sale. We can negotiate with the bank and perhaps get you a great deal. Fill out our simple form and Boise Investment Properties will send you a free electronic relocation kit in minutes. Use these helpful tools to get you started on the purchase of your next income property in Boise. First Rate Property Management is one of only three Certified Residential Management Companies® (CRMC) in all of Idaho. The FRPM teamy are real estate professionals who know first-hand the unique challenges of managing rental property in today's constantly changing economic and legislative environment. And they know how to manage those challenges to everyone's benefit. They can maximize rents and income for you; and they will manage the property efficiently, professionally and economically. Make looking for a home or your next investment property within the Boise area easy. Search for any listed property in our regional MLS. Use our automated home search. 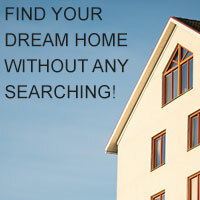 Find your dream home or rental investment property in the Boise area now!! Looking for a rental home or apartment, let First Rate Property Management do the search for you! FRPM has hundreds of rentals and investment properties, to include, homes, town houses, condos, duplexes, tri-plexes, four plexes, and smaller apartments. First Rate Property Management is certain that they have just the place for you. 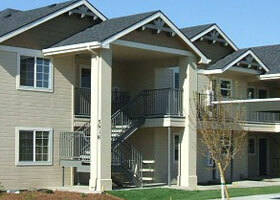 First Rate Property Management serves the Boise, Meridian, and Eagle areas. Looking to Sell and re-invest, or do you just need help identifying a replacement property? The Boise Investment Properties Team can help investors to defer capital gains taxes on the sale of their business or income property. As a successful property management company not only in the Boise but among many property managers in the nation, First Rate Property Management understands the importance of continuous improvement. In fact, our company's vision statement is, "Maintain recognition as the most reputable property management company within our industry through continuous improvement". In any business the value of continuous growth is crucial in its success. When you first think of continuous improvement, the first thoughts that come to mind are process, product/service, and people.